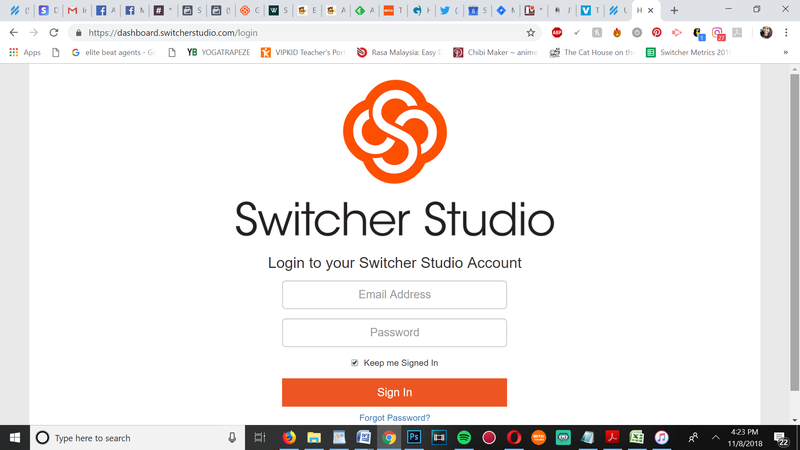 Log into your account at switcherstudio.com. 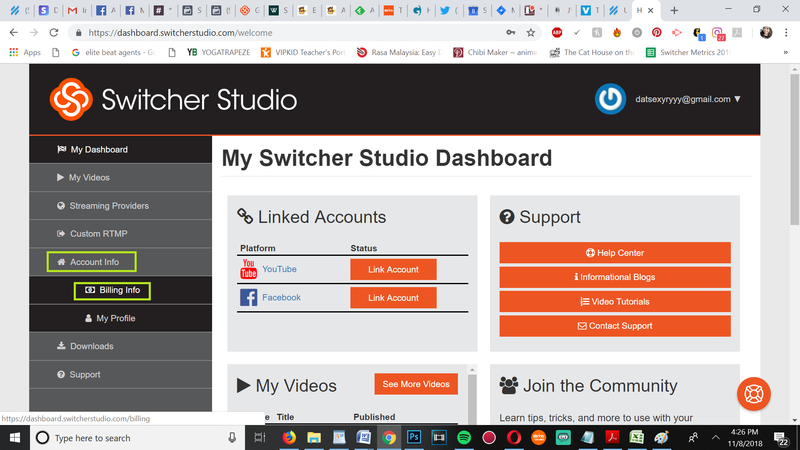 This takes you to your User Dashboard. 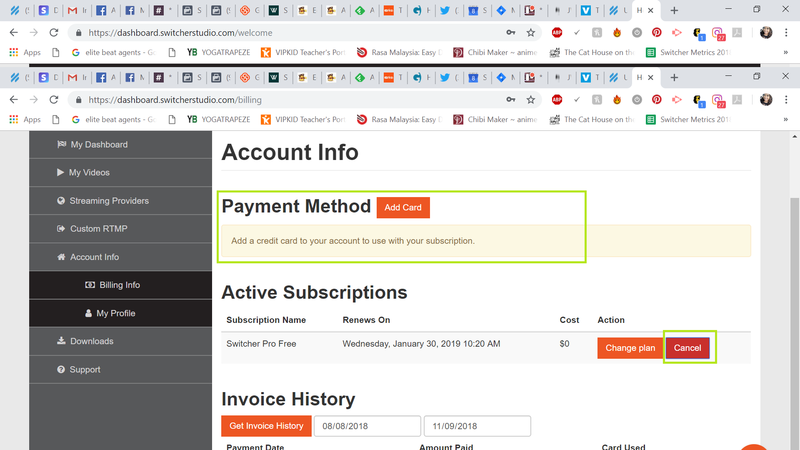 Use the menu on the left-hand side to select Account Info, and then select Billing Info. Delete your credit card from your account, and then select Cancel Plan. 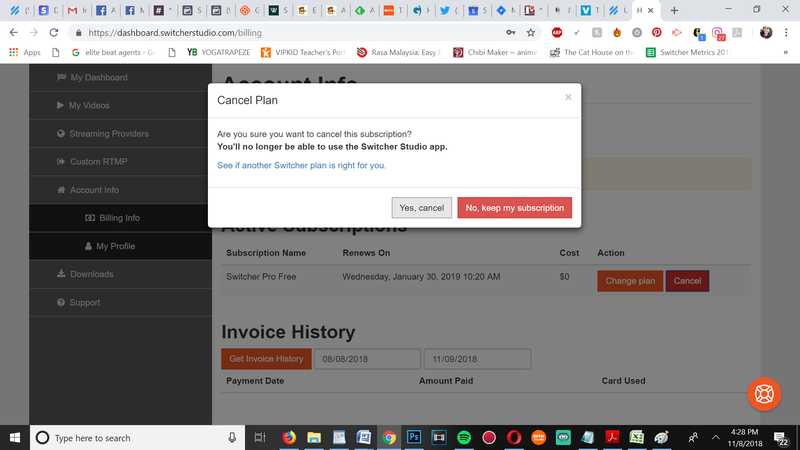 NOTE: You must perform both steps (deleting your credit card and cancelling the Plan) in order to cancel your subscription. We cannot cancel your account for you, and we cannot issue a refund for an improper cancellation!